Circadian rhythms, a term derived from the Latin words for “around” and “day,” serve a highly influential function in everyday life. Most people can recognize the effects of a late night or an all-nighter on their energy levels the next day, or even for a few days afterward. The key to avoiding this drowsiness is falling asleep and waking up at nearly the same time every day, which allows the biological clock a steady foundation to work off. For many individuals, however, this proves difficult because of several disorders or syndromes, described below, which occur when the internal clock does not synchronize with the environmental clock and can cause insomnia, daytime drowsiness, and depression. Why Are Circadian Rhythms Important? Circadian rhythms are the force behind the hormonal messages the body receives telling it when it is time to sleep, to be hungry, not to be hungry, et cetera. Circadian rhythms also control the timing of bowel movements, the early morning testosterone peak, or the increased coordination many humans experience in the early afternoon but do not recognize. This force is not limited to humanity but is also found in other animals, plants, and even bacteria. During evolution, this 24-hour clock was helpful for human survival because, with limited vision, it was safer to stay immobile and sheltered for the long night hours than it was to traverse uneven terrain or to confront animal adversaries more prepared for the darkness. Due to humanity’s relationship with lightbulbs and screens, however, and a host of other factors, this relationship between the internal clock and the environmental clock can easily come unhinged. Experienced by every traveler who crosses several time zones in one trip, jet lag is the inevitable clash between the daily schedule of the destination and that of the place departed, to which the traveler’s body is accustomed. Americans who fly to Japan must overcome several days of drowsiness as they set about daytime tasks as their bodies continually remind them that where they came from, it is time to sleep. North Americans flying to Europe will struggle more with drowsiness than Europeans flying to North America because it is generally easier to delay the sleep cycle than to advance it forward. Travelers may rest assured, however, that engaging in local rituals according to local time will have them back on track within a matter of days. More familiar in the elderly, Advanced Sleep Phase Disorder occurs when the body secretes melatonin and other sleep-oriented chemicals too early in the day and stops emitting them too early in the morning. It is common for individuals with this condition to be driven to sleep between 6 and 9 PM, and to feel wakeful by 2 to 5 AM. This becomes an issue when it becomes difficult to fall back asleep early in the morning, and social obligations scheduled for dinnertime or later become inaccessible. Those struggling with Advanced Sleep Phase Disorder would do well to delay bedtime by several hours, if possible. You will see this more often than its opposite, this condition occurs most often in teens and young adults and leads them to feel most awake, creative, and engaged late at night. In other words, the sleep schedule is delayed according to the natural day/night progression. This often leads to late awakenings in the morning, or otherwise, sleep deprivation. 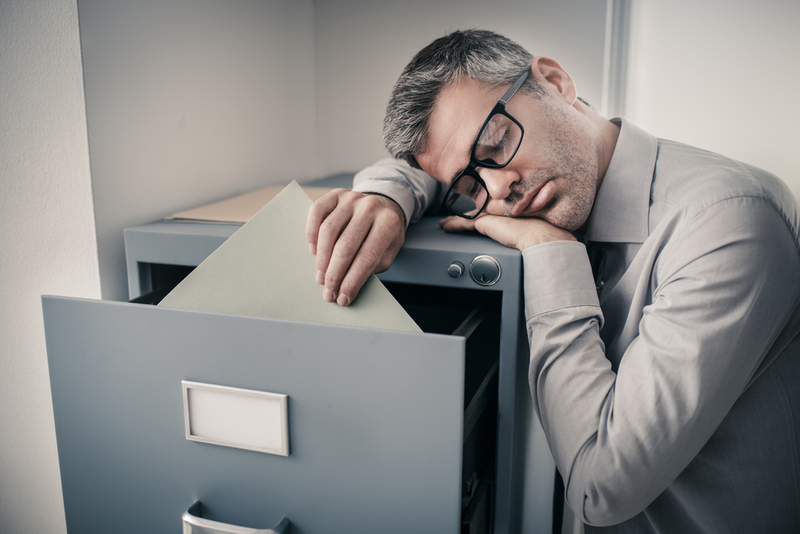 DSPS vs. DSPD: In search of relief from drowsiness, individuals with DSPS and DSPD often seek to make up for lost time by sleeping extra on the weekends or carving out time for a nap in the afternoon. The issue with this approach is that it perpetuates this insufficient sleep schedule, or in other words, disrupted circadian rhythms. This is because the body will do its best to maintain routine by falling asleep and waking up at the times to which it is accustomed, even if this leads to sleep deprivation. If night owls (hence the nickname “Night Owl Syndrome”) make sure to sleep late the next day and manage to fall asleep and wake up according to a consistent schedule, this may not adversely affect them. But when this schedule causes the individual to struggle through or altogether miss morning obligations or leads others to label them as lazy, undependable, or unmotivated, this inability to maintain a light-dependent sleep schedule becomes a disorder. Genetic factor: According to recent research, people whose relatives have DSPD are several times more likely to have it, themselves. Environmental factors: People with DSPS/DSPD often do not receive substantial bright light in the morning, which is significant because of sunlight’s role in promoting wakefulness. Often, sleeping straight through morning sunlight perpetuates the issue. Waking up to witness morning sunlight, as well as avoiding bright light before bed, can help reverse the issue. Blue and orange light: As blue light reflected by the sky is most prevalent during the daytime, the human brain has learned that blue light means it is time to secrete hormones related to wakefulness. Conversely, orange-wavelength light, a primary component of the light during sunset, helps get the human body ready for bed. Consider checking your devices for settings that enable light to become progressively more orange when the sun is setting or download an application like Flux. Consult a sleep doctor. If this is a persistent problem, it is best to consult a medical professional. Sudden sleep and hallucinations: Individuals with narcolepsy may fall asleep suddenly during the day, even when well rested, and sometimes while engaged in other activities. This sleep is unusual in that narcoleptics fall directly into REM sleep, the stage during which dreams occur, so they may have highly vivid hallucinations in the space between sleep and wakefulness. Sleep paralysis and cataplexy: Narcolepsy often causes sleep paralysis, a condition of being locked in place for minutes upon waking or nearing sleep, or cataplexy, a condition that is often triggered by strong emotions and manifests as sudden muscular weakness or lack of muscular engagement. Cataplexy may lead people to drop things suddenly, or to fall to the floor. Sometimes individuals with narcolepsy will continue their current activities during a sleep spell, a phenomenon known as “automatic behavior,” and continue to drive, write, or walk with ill attention. Cure: There is no known cure for narcolepsy as of yet, but research continues in hopes that those with narcolepsy may feel less drowsy.